Last night 6 clovers along with a collection of players from around the country joined together to help raise money for Norman Livingston to travel to Mexico for cancer treatment. 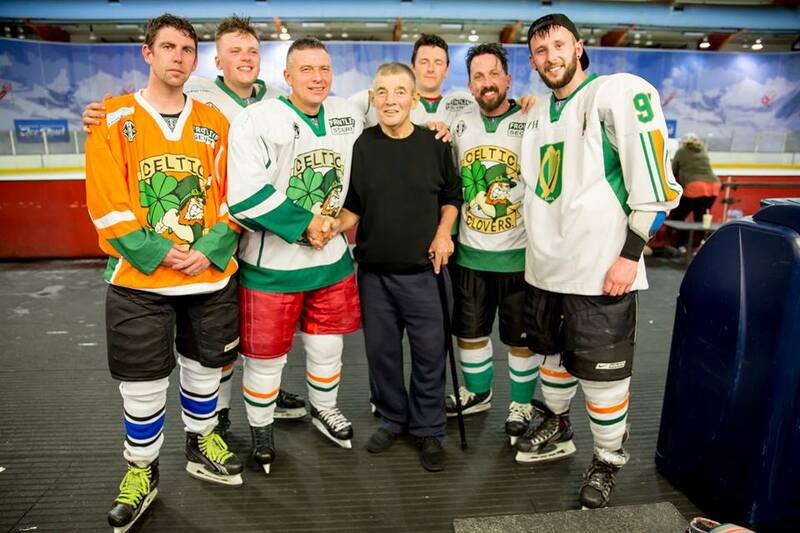 Although the result didn’t go our way, the night was a great success with the two teams raising money just short of £1000 for Norman and thanks to the IIHA who sponsored the ice time every penny of that goes towards the cause. Celtic Clovers along with Niall McEvoy and man of the night, Norman Livingston.